I've been offered a Merc G wagon diesel engine - 3L 5cyl OM 617 i think. and been wondering how well it might fit into a 404? 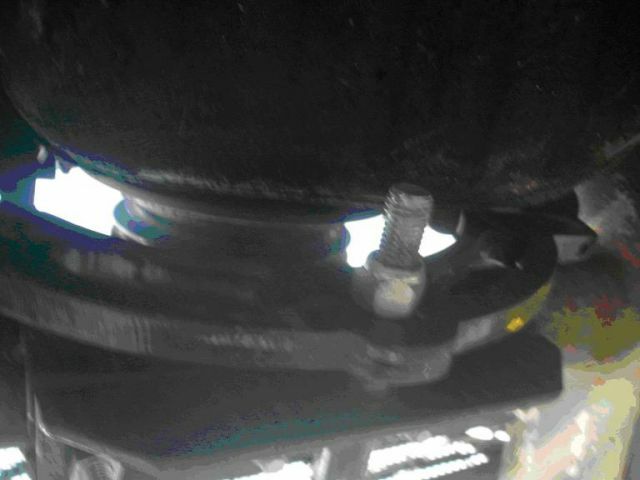 After a quick search on the net I found a guy in Germany who sells a conversion kit, but its over two grand for the special bellhousing - ouch. too much for me. So i'm thinking more about a home brew conversion plate/ adaptor? Has anyone else fitted this engine?? what pros and cons might i be up against? Yep the engine i have been offered is a non turbo, Im not looking to make the mog any faster, but I like the benafits of a diesel when off road ie, more torque at low revs, smooth running at any angle, and some better economy would be nice bonus too? 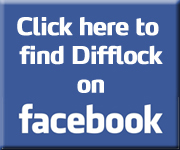 Ill do some searching through the old forums to see what others have done. 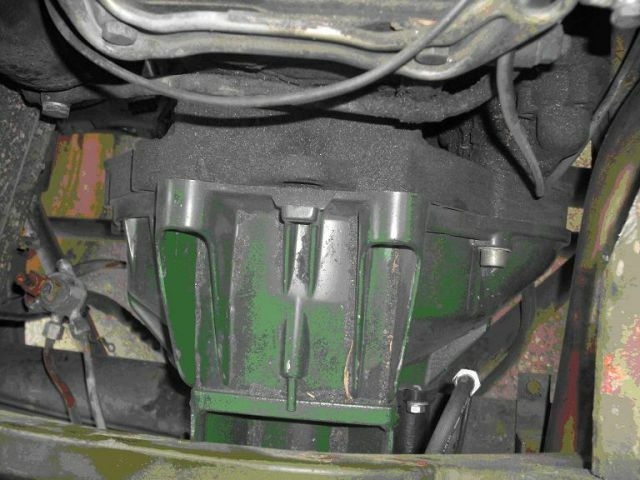 Why not use the d240 clutch and graft input shafts? hell of a lot less mess than turning fly wheels? 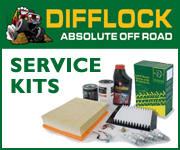 Mike, I have also been looking around for a viable Diesel for the Mog, The problem is that most of the decent and available diesels â€“ like the landrover 200 tdi have the manifolds on the LHS â€“ just where you legs want to be. Now nothing is impossible but shifting manifolds over is a lot of work. My possible salvation â€“ and I say possible because it is not running yet!! 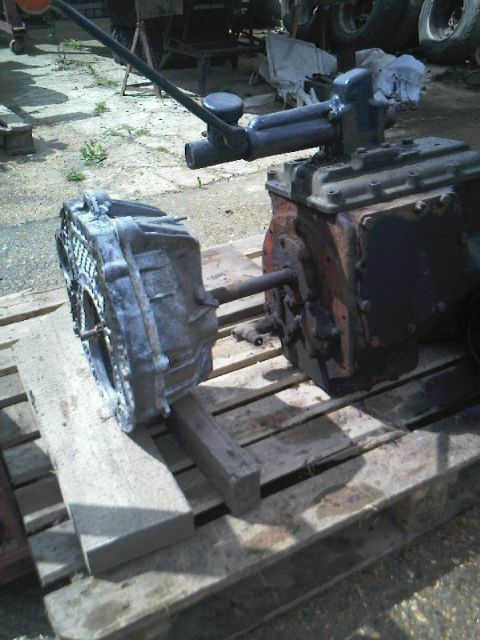 Has come by way of an Iveco/ Fiat 2.5tdi 8140.47 motor from a Ducato 3.5 tonne van. 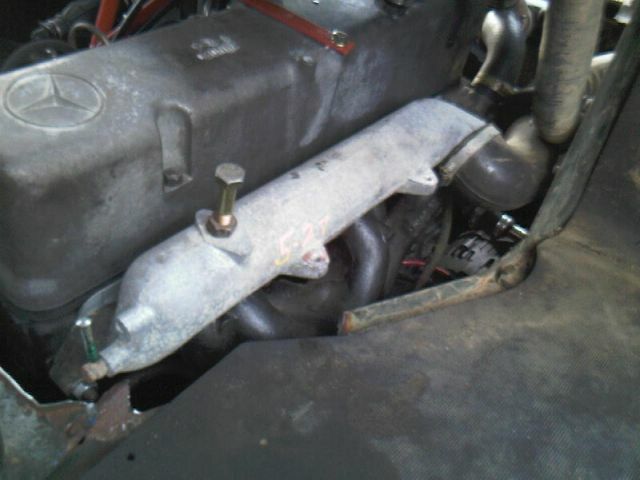 This engine is mounted transversly and has nothing on the front bar the fuel pump. All the manifolds are on the back or right hand side. I have a big issue with this because my previous engine was a Ford York with LHS exhaust which melted my boots when pulling timber! The Iveco gearbox when emptied of its gears makes a nice spacer and with a bit of ingenuity spigots via an ally bush to pick up on the plate which bolts to the Mog engine. This plate in turn bolts to the Mog box and we all live happily ever after â€“ I hope! 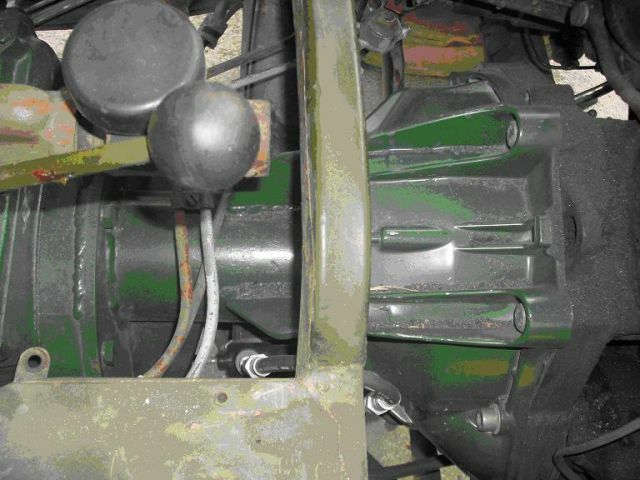 The only thing that was â€œdifficultâ€� was making the Iveco input shaft mate to the Mog â€“ See Pic. I have lots of phots which I will post when /if up and running! 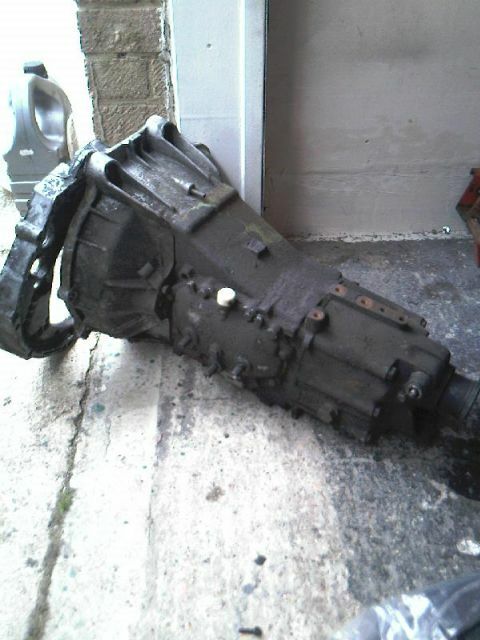 Thats some usefull info, cheers, well im now the proud owner of a 617 engine with G wagen flywheel clutch and gearbox. 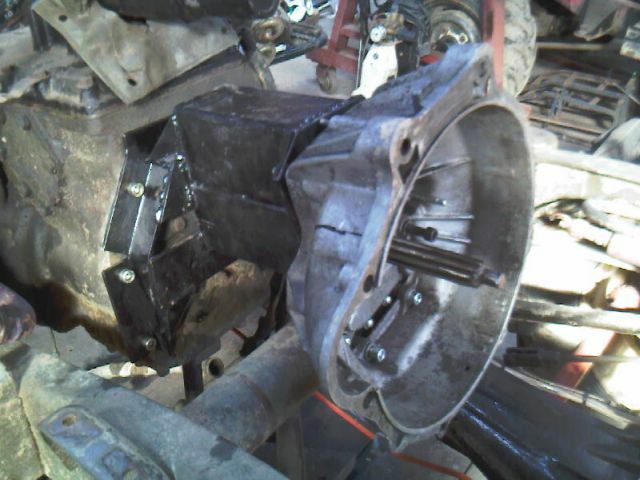 Plan is to use G flywheel, clutch and bellhousing and make an adaptor plate between bellhousing and 404 gearbox. Dennis - any pics of this setup please? Did you rotate the engine to help clear bodywork? Also thinking that when engine is fitted, if I find the n/a is lacking horses, its not too much bother to then swop to the 617a (turbo) at a later date! Yep some photos would be really helpfull, thanks. I assume for the clutch linkage you do away with the mog set up and go hydraulic using the merc. release arm, bearing and slave cylinder and fit a new master cylinder linked to the pedal? 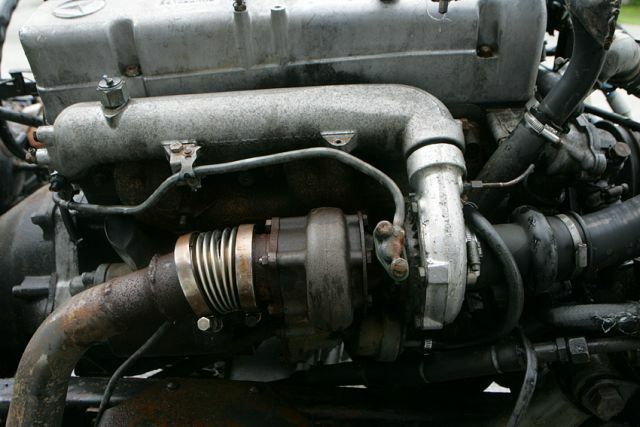 Turnip - That conversion using the Iveco engine looks great, like you say its tricky to fine an engine with inlet/ exhaust on one side. Let us know how the conversion goes, looking forward to seeing the pics. 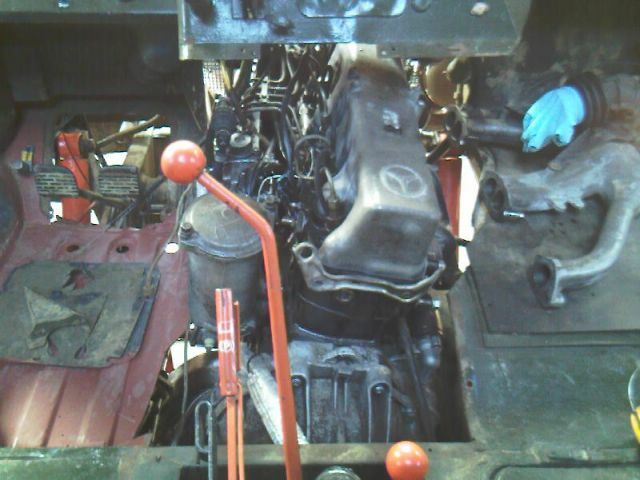 G wagen gearbox, bellhousing removed and offered upto mog gearbox..
yes making slow progress. The engine needed a bit more work than i hoped, re-bore, new pistons and a crank re-grind. Just in the process of putting it all back togeather. With that done I can get on with the bellhousing / gearbox adaptor, will post pics when made more progress. Dennis, any pics of your set up please? 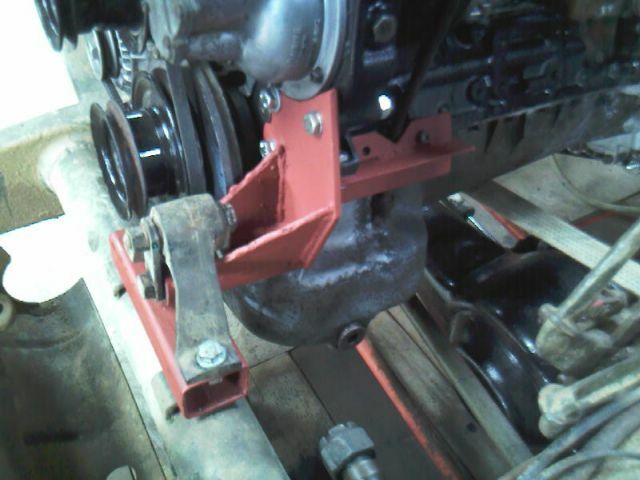 Some progress, engine is almost finished, just need to fit ancillaries and its ready to go. Started to make g.box adaptor today, I don't have access to any machine shop gear, so this is home brew engineering at its best! Next is to make a steel plate to bolt to the back of the bellhousing and then lots of carefull alignment/ measuring before it gets welded to the g.box plate. Also plan to tilt the engine 13degrees to help bodywork clearence. 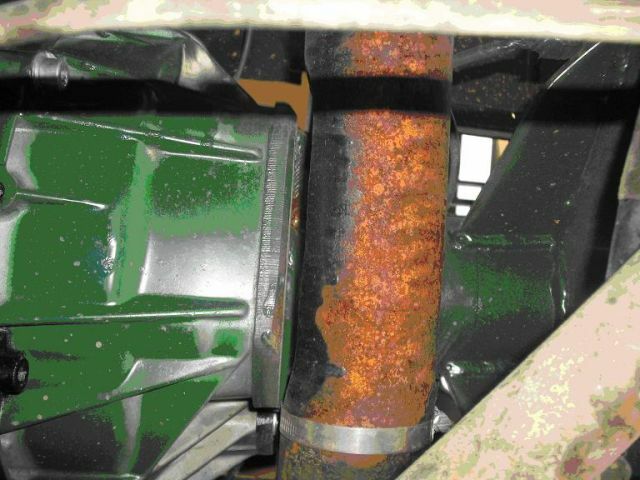 Dennis, I was planning on using the stock G wagen tube to support the clutch release bearing, and then use the G release arm and slave cyl, hopefully keeping the whole clutch system standard G wagen? Progress on the Turnip Mog - I have now got the engine in and running. The results look promising. I have since found that this engine is common to the Fiat Ducato, Peugeot boxer and Citroen relay, It is called an 8140. 47 and depending on who you believe it dishes out about 120 bhp. Initial tests have been off road but the improvement is staggering (over a 4 cyl York thats not hard!!) The sump is well baffled and I have had approx 45 degree up and down and side slopes which make my **** twitch and no loss of oil pick up. The truck was always in 1st or second when off road and now is happy to do most places in 3rd. It is happy to pull away up hill in 3rd too. I havent a rev counter fitted yet but when the turbo chimes in I can hook 4th and it really flies. Road tests soon! 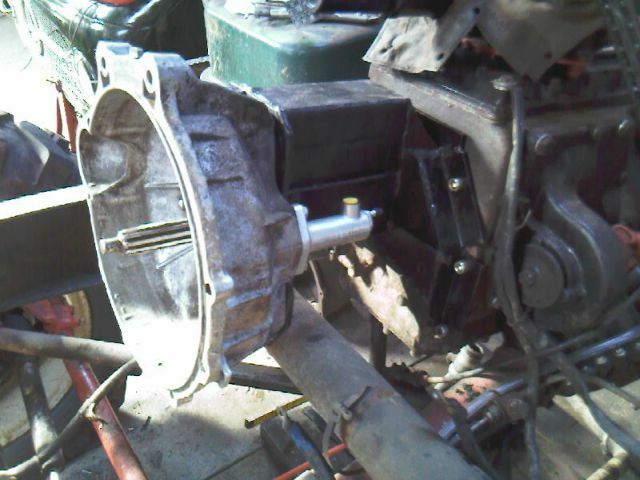 The engine fits a treat and the pics show the Ford adaptor by the Iveco, I have shoved the motor forward 7" so that the front is where the original would be. The body work on my Mog is a one off so I dont know what would happen on a std unit? Did the first road test with the Iveco 2.5 tdi motor in my 404. I went collect some IBC containers and managed to sneak on the weighbridge first! 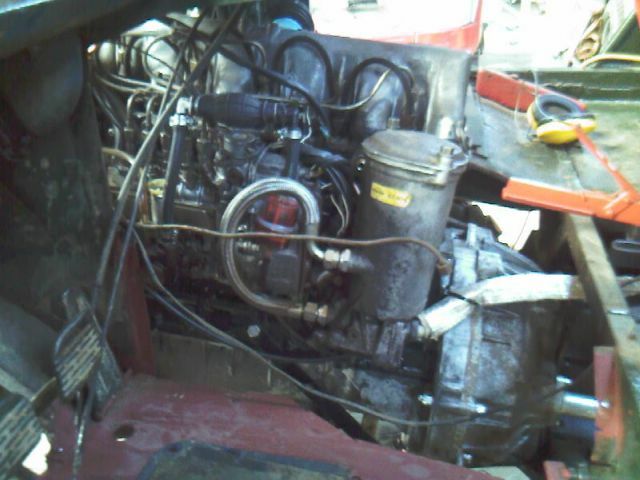 With this engine in and an ally tipper body she is spot on 3000kg. So far this coversion seem to be really good, it goes like stink on the road now. I can pull one and sometimes 2 gears higher than I could with the previous Ford engine. I will venture further soon, but the indications are that I could refit the 12.50 x 20 tyres with this much power? 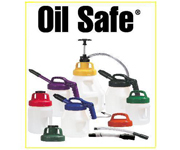 If anyone is looking to go diesel this really is worth consideration. 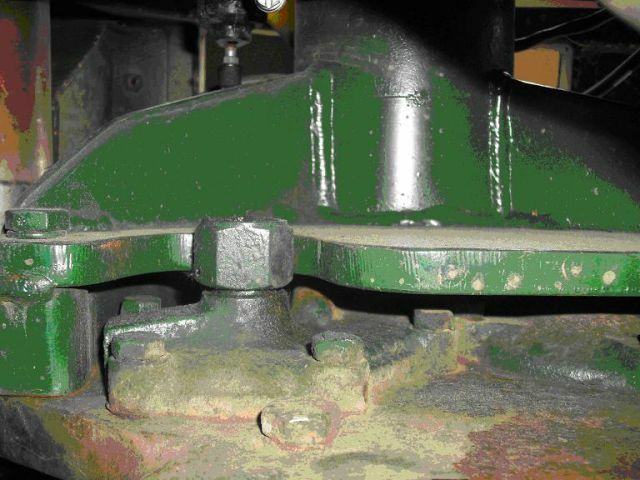 I have all the pictures as I went along and drawings of most parts, the gearbox housing from the engine mates well with the Mog engine plate and perfect alignment is quite easy to achieve. I can't believe its over a year ago when I started this thread, how time flys! Anyway got my **** into gear again and Im cracking on with the diesel conversion. 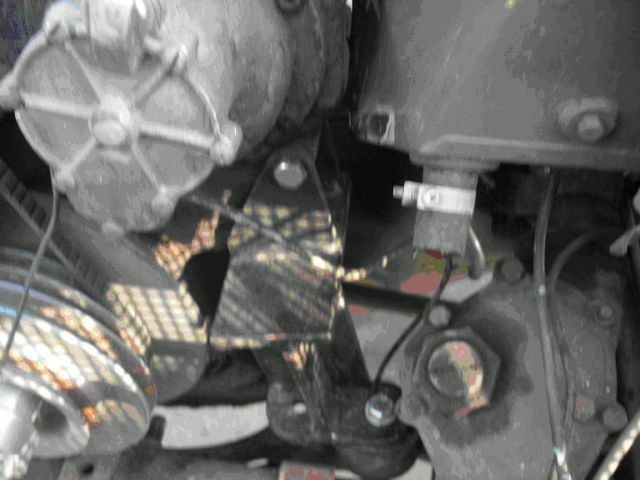 Unless you do some serious bracing and reinforcement of that bellhousing you've made, you will need some other connections between engine and gearbox. There's a loong way from the engine mount to the gearbox mount. 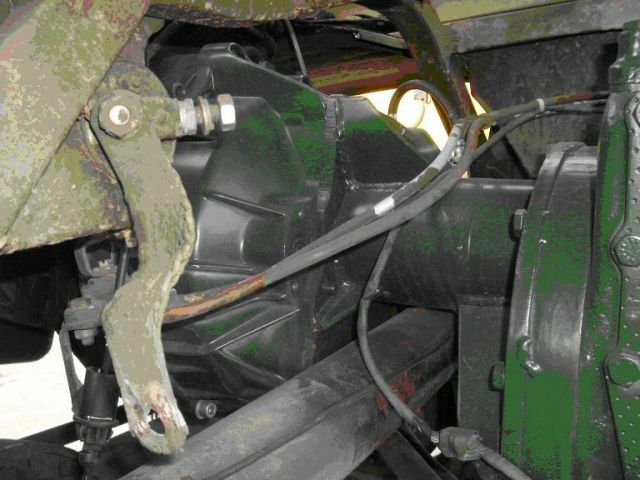 How are you going about making the clutch hydraulic?, ie how are you planing to fit a mastercylinder? 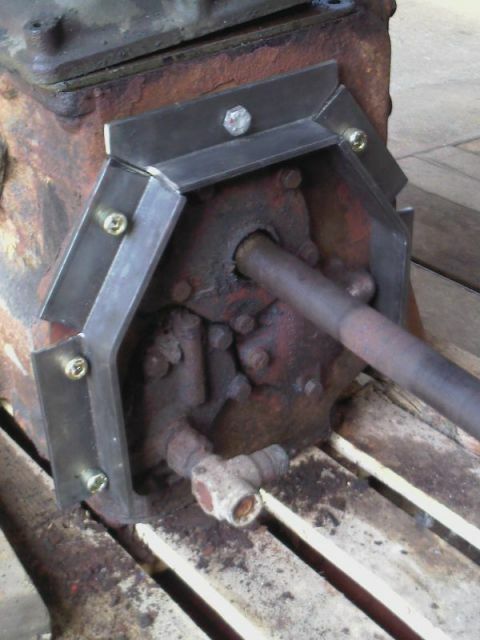 Yes I am planning to fit some bracing bars that go from the bottom of the gearbox flange to the back of the engine. 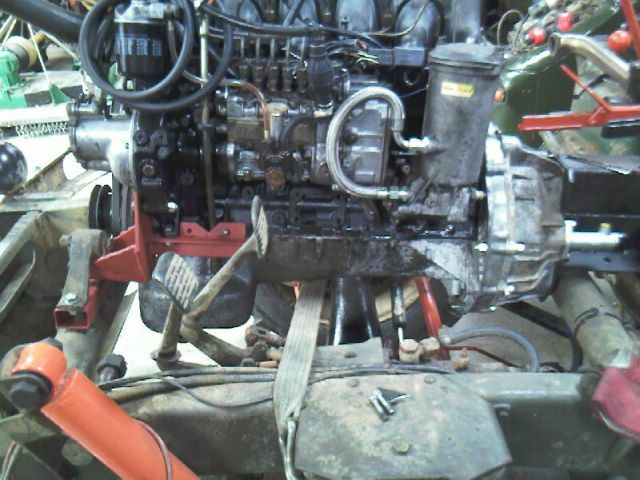 I cant fit the braces untill I get the engine in position and see what room there is by the round crossmember. The clutch as you can see will be hydraulic, I think it will be strightforward mount a master cylinder next to the brake master cyl. and use the existing pedal - with reversed lever so it pushes on the new cylinder as opposed to the old pull system, hope that makes sence! 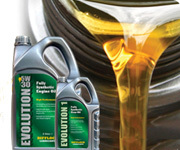 really good info rich thread-makes me miss my mogs!im just going down the repower road with a cummins to a SUMB trans,im nowhere near,but threads like these and freely given info from folk like dennis and turnip are a real encouragement-keep hacking! Bit more progress this weekend, got the engine in and bolted up to the bellhousing, then spent several hours making the front engine mount. Looking good, yes it can take an enormous amount of time, just to make a bracket That is what people tend to forget. Some more interesting 617 conversion photos, courtesy of Dennis - lindenengineering. More progress, cab is back on, and it fits - just. 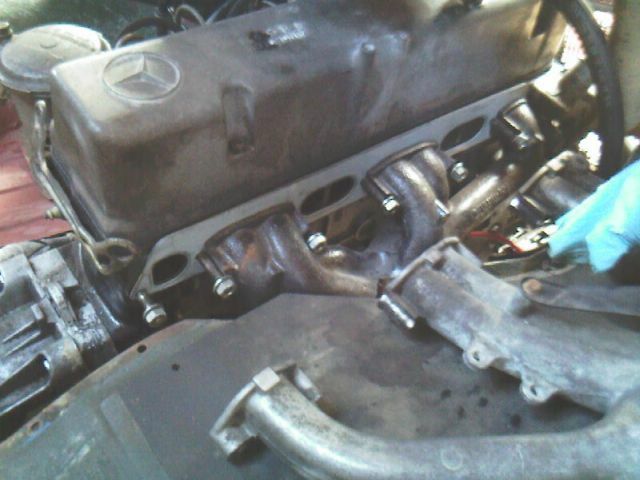 Passenger side not so good, no chance of the standard G wagen inlet manifold fitting, unless I cut the whole floor out! So need to source a different manifold for the job. even better get the exhaust maifold and turbo aswell when your at it as they bolt right on. Is that engine upright or tilted over?? bit more progress, a huge thanks to Dennis for shipping a 617A manifold over from the States - it fits perfect, with very little cutting of the passenger floor. 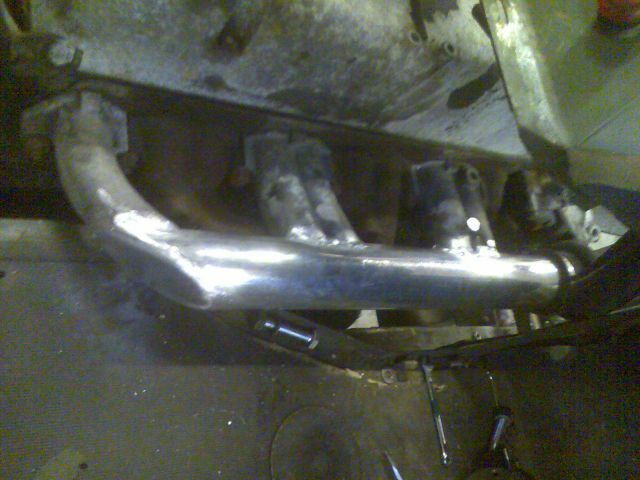 The other bonus is using the inlet pipes from the old petrol engine, just had to cut down the metal pipe, easy. No, its still got its Colorado muck, just the poor mobile photo makes its look better? Anyway soon to be covered in Dorset dirt! and don't mention VAT grrrrrrr. 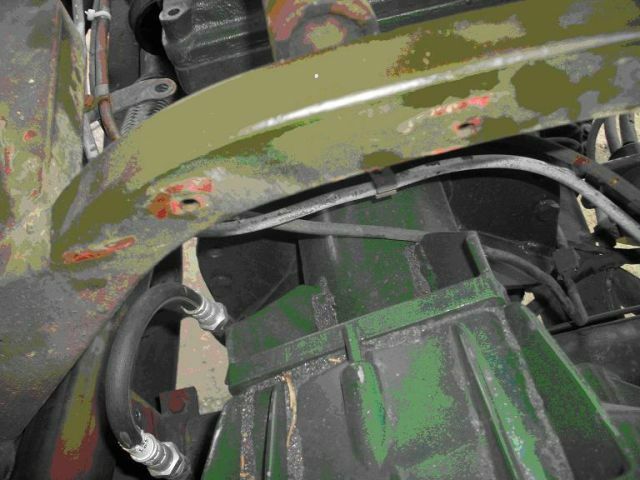 Question for someone in the know - I noticed when connecting up the throttle linkage, on the back of the injector pump (between the pump and block near the throttle arm) there is a small threaded hole which goes right into the pump, looks like somthing was fitted there? but I don't know what. I can only guess its for a breather pipe? Anyone know? or shall I just plug it with a bolt and forget about it?